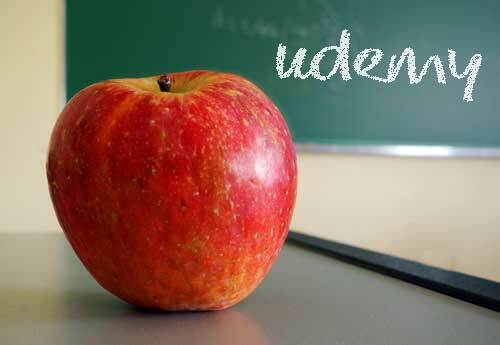 I’m a huge fan of the online learning platform Udemy. However, this article was written because they massively decrease instructor commissions. It is possible to make money from Udemy (I still make over $1000 passively every month) but please factor in a 30-40% reduction of profit into the following. My main Udemy strategy is to create both free and paid courses and then promote discounts for the paid courses to the students on the free ones. There’s a video of how to do this in my how to sell your video courses on Udemy article. Last weekend I launched my Running A Web Design Business course on Udemy for $39. I already knew from my e-book of the same name, the title works well as many people would like to work from home designing and developing websites for clients. Promoting offers to your following on Udemy is exactly the same as presenting an offer via email marketing. So, I used a tried and tested email marketing formula: I created a 50% off sale price and offered it for only a short period of time. You do the promotions by sending an “Announcement” which sends an email as long as students haven’t unsubscribed from Udemy mail. Hiya, Rob here, I hope you are well! I’m dropping you a line to tell you about my new course and my new offer to you. As you can see, you can add images to Udemy announcements which look good in the email. Remember, if you add a cut-out image like the one above, put it on the light blue (Hex: #eff5f7) that Udemy uses as the background color. Get this course before Monday (midnight PDT) and I’ll give it to you for only $19! (That’s over 50% off the normal price). 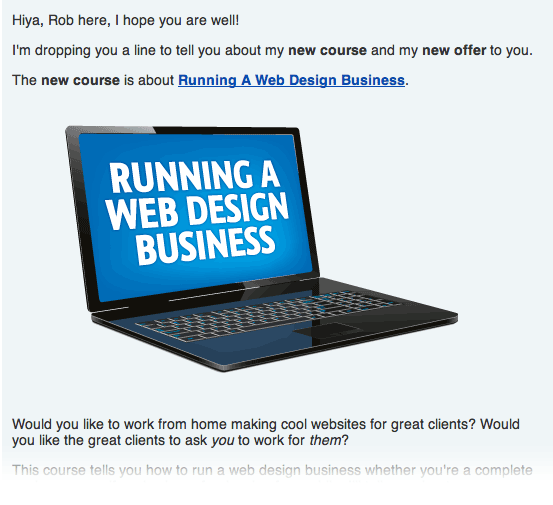 I just wanted to remind you that the inaugural offer on the Running A Web Design Business course is about to expire. This will be the last time I will offer this course at this price. I then notice that the 50% off coupon has expired 24 hours before I thought it was going to. Students are emailing me saying that they want the course at the reduced rate but can’t get it! I’m really sorry but I’ve goofed a little bit with the coupon code I sent you earlier. It seems the coupon expired on Sunday rather than Monday. So, and I’m really sorry to annoy you, but if anybody wants to get the course, Running A Web Design Business at $19 (50% off!) you can do with this new coupon. This offer expires in 2 days (midnight Wednesday PDT). I do apologise. I find out the Monday is Labor Day in the US and I realise less people will open their emails on the Saturday, Sunday and Monday – all the more reason to extend the offer to Wednesday. Not bad. A total of 95 people purchased the course at $19. The announcements/emails were sent out to all the students on my paid for and free courses – roughly 7750 people – which means a conversion rate of 1.2%. Many thanks to Jennifer Bailey for help with the compilation of the above info. As you can see, the “disaster” of the coupon expiring 24 hours early was actually a blessing in disguise. I got a further 22 sales from the third email. Don’t abuse the Udemy announcements system. It’s extremely powerful and should be handled with care. If you bombard your students with offers it will result in damage to your brand, damage to the Udemy brand and, ultimately, students unsubscribing from announcements and going elsewhere. Don’t send more than 5 announcements a month. You can make money by becoming a Udemy instructor. Everyone is good at something. Anyone can teach online. Give away good stuff for free and create value-packed premium courses – and then you’ll reap the rewards. I have a course I’m producing and that I reckon it’ll be ready in a couple of weeks. It’s a little niche but I think it’ll be useful. It’s taking me to learn new skills (i.e. mainly recording and editing). Thanks for the tips! (I loved you previous Udemy post, as well). I followed your link from the private FB group and happy i did :). Great post. I love it that you are analysing the stats. I made a little experiment with an ‘In Production’ course on Udemy recently too. Started on Sept 1st and got 25 signups after 24hrs or so. I basically made an offer to my list to grab the new course prior to its completion for a heavy discount. It was good to get signups but more importantly to me, it helped confirm it’s what people wanted. In my case I wonÂ´t be able to since itÂ´s going to be a crash 1h course. On top, I’ve got no list. Very nice! Thanks for sharing the details of your launch! Love your twist on the freemium model transitioning free students to paid students at a discount. Do you find it difficult to create all that content and decide what to make free and what to make paid? Thanks, Nick, I appreciate the comment and the tweet. It was really easy to create the free courses because they were a load of videos I’d already done on YouTube. I knitted them together with an introduction and a conclusion video, added course materials (the source files, PDFs, etc. ), added a 5 second intro to add of the videos and, bingo, I had three courses. Great post! I’ll be trying this out as my primary strategy when I join Udemy. If you use the system to notify you’ve got 3 hours of exclusive content you’ve just added to say ‘thank you,’ or you plan follow up emails that are jam packed with value (and nothing in it for you) surely you can add those in addition to the 5 promo emails? Thank you, Dennis. 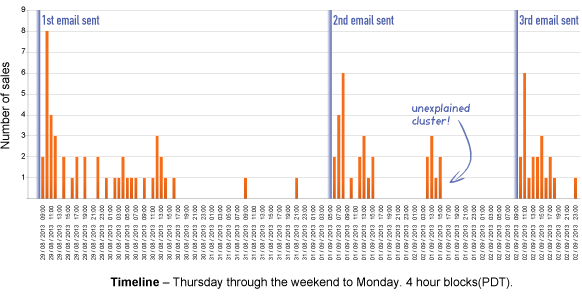 Yes, you make a good point about sending value announcements/emails. I don’t know how much is too much because it all depends, of course. But I remember reading something from Udemy that they didn’t like too much promotion on the announcements as the system is meant to inform students about the course they’re on, ideally. I would say no more than one a week on average. But I’m sure there’ll be many differing opinions on this. Congratulations, Rob. I can’t imagine a better teacher of web design! That’s pretty good amount of money for first timer. Since this is your first premium course, don’t forget to have yourself a checklist of what you should or shouldn’t do for the next premium course. You know, I was just brainstorming for a course idea I had. I’m not quite there yet, but this is defo something I’m going to do in the future. I love teaching. Thanks for sharing your success! let me know when you are thinking and I’ll see if i’m free. Would also be like to skype with other instructors. Let me know if you are interested. It would be a weekday evening in a pub in Victoria, London SW1, if I do it, Pete. It would be monthly. But I’d need to know if there was definite interest. I’ve been meaning to pop over to see how you’ve been going. Looks like you’re kicking some serious goals! Have you ever tried getting your courses promoted through sites like commission junction or click bank? Would be interesting to see if professional affiliate marketers can make a difference to your bottom line and introduce new people to your list? Hi Ali, Udemy does have a pretty good affiliate scheme already run by the LinkShare network. There are affiliates who hangout in Facebook groups and you can give them your discount links which they try to sell on your behalf. I get a little bit from this every month. I also recommend other courses in my courses through affiliate links as well. As you know, I am creating a new membership site where I will host all my courses at learn.robcubbon.com and I’m wondering whether to set up an affiliate scheme for that. I used to run an affiliate scheme for one of my PDF a books and it left a rather sour taste in my mouth as people were spamming other sites to try and sell my book. This was through Clickbank who John here advises asked to avoid. Clickbank does have a rather bad “IM-y” reputation. They have a “no questions asked” refund policy and are renowned for serial refunders. Hello, John, there speaks a voice of experience. Clickbank have a bad reputation (although not completely fair) for dodgy IM products. Many people will have nothing to do with them.